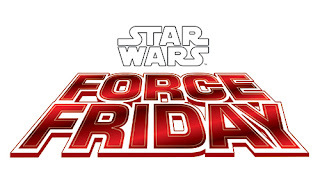 Happy Force Friday eve! 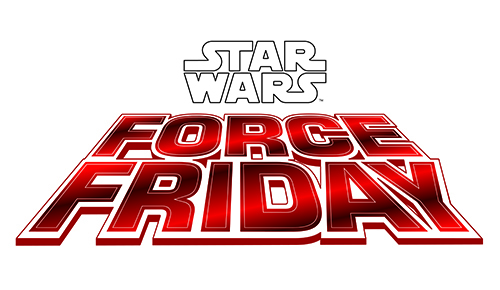 I am curious how many of our readers are going to venture out to check out the new line of toys for Star Wars Episode VII: The Force Awakens? My kids would be disappointed in me if I didn't brave the midnight scene and try to get my grubby hands on a First Order Stormtrooper, Rey, Kylo Ren, and BB-8 to name a few. Hopefully my wife won't be upset with the newest wave of Funko Pop!s, Hot Wheels, Legos, and action figures. At least my kids will be happy. Check out the official guide here and let me know in the comments if you plan on going. Plutonia #1 - If it is from Image and has the name Jeff Lemire attached to it you can guarantee it will be something worth reading. 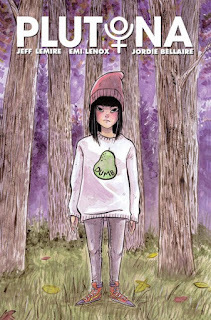 The creative team of Lemire, Emi Lenox, and Jordie Ballaire gave us the gift of Plutonia this week. It has a very Stand By Me vibe, which is a good thing, and includes an interesting mix of young characters. You have your bully from an abusive home, the sister who has her plans ruined by her little brother, the overweight friend who has self-esteem issues, and a self-proclaimed capespotter. What? Capespotters are a group of individuals who are fans of superheroes and devote their time to logging sightings of them on the internet. Seems like a pretty typical day for these teens, but that all changes when they stumble upon Plutonia's dead body. I think my favorite part of the book is the short story drawn by Lemire that begins to document the final day of Plutonia. 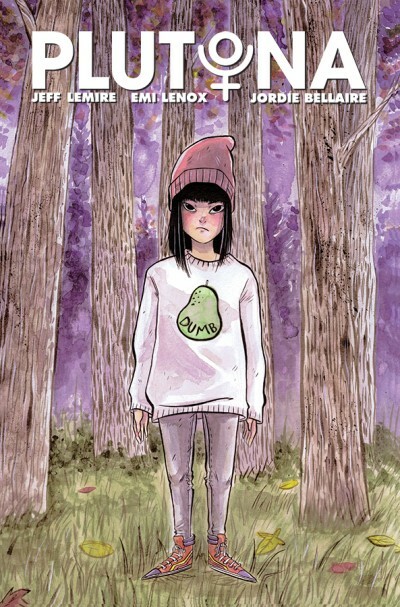 It will be interesting to see how this mystery unfolds and I am looking forward to the emotional journey Lemire will bring us on through the lenses of these children. Daredevil #18 - This was a bittersweet issue, as we have to bid a fond adieu to Mark Waid. 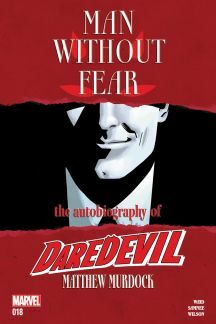 Waid enjoyed the longest run of Daredevil and it was what brought me back to the Man with No Fear. While Charles Soule, who is taking the reigns, is no slouch, he has big shoes to fill. Waid brought Daredevil to the West Coast and wrapped things up by punching Kingpin in the face repeatedly. I am curious what the future holds for Mr. Waid and am looking for his next project. Congratulations on an incredible run. 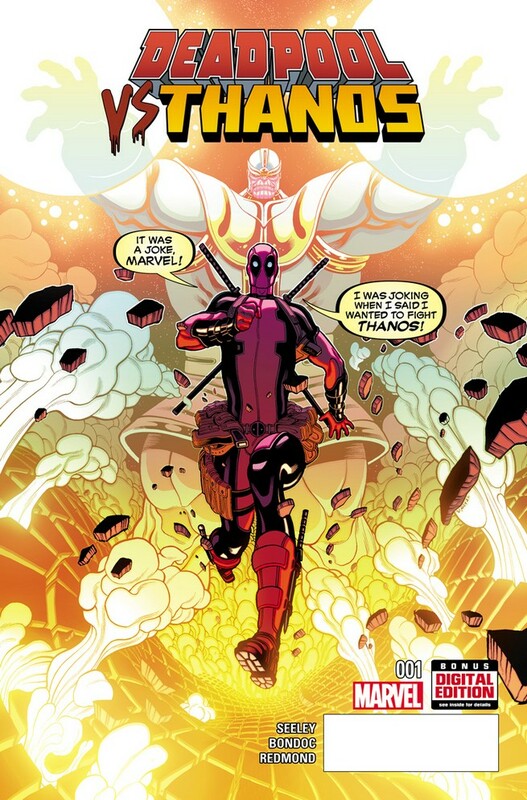 Deadpool vs. Thanos #1 -When I saw this title, there was little I could do to avoid picking it up. The premise was intriguing, and it actually taught me something about Deadpool. I have enjoyed some Deadpool comics in the past, but by no means am a big fan. This book informed me that it was the mad titan himself, Thanos, who cursed Wade Wilson! I enjoyed that tidbit and the basic premise that Lady Death has been kidnapped and it is up to unlikely heroes to save her. I am strangely looking forward to the next issue.